People are social creatures and we learn, first, by modeling what we see. That’s why it is so important to surround children with positive role models. With Kids of the Kosmos (KOTK), we aim to serve this need by creating a cast of characters who empower children with images of excellence from heroes who are just like them. 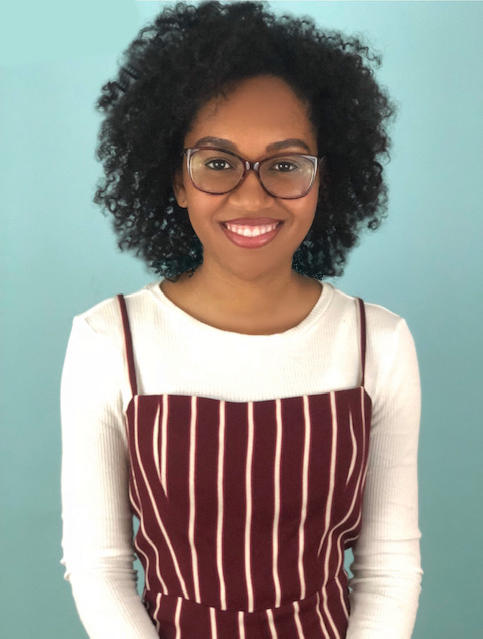 Nefertari—or Tari, as her friends like to call her—is a very accomplished young lady of Sudanese descent and a leader among her peers. She is the Student Body President, and Chief Judge of her school’s Student Court. Amir is a computer wiz from the Gullah Geechee Nation. He engages all things about technology and likes to spend his time in his shop, building robots and gadgets. Titus hails from Brazil, where his parents own a martial arts academy. His parents are masters of Capoeira. Titus wants to follow in their footsteps, as well as expand his learning of other martial arts. Zoë is a fierce journalist from New Orleans. As the head anchor of KOTK News, she is a social media expert and has her own blog. Sofía is a daughter of the Caribbean. She loves to be surrounded by plant life, animals, and heart-warming people. Sofia’s passion is to heal others, whether it be people, plants, or animals. She dreams of becoming a doctor. Heru is a scientist from the Solomon Islands. He loves chemistry and solar energy. He wants to unlock the possibilities of green energy living to make the Earth a better place for everyone. Tala (NEW) is an herbalist named after the Hindu Tagalog goddess for the morning and evening star. She comes from the Ati people of the Philippines and is very in tune with Mother Earth and what she has to offer living beings. Kudzai (NEW) is very creative with building things using his surroundings. He is an architect in training. Kudzai is from a Shona village in Zimbabwe. Professor Ankh is a teacher at Kosmos Preparatory Academy. Originally from Kenya, the culture and customs of the Nile and Hill Nubians greatly shape and inform his world view and how he embraces life. Our products at this time include notebooks, journals. We will be adding jumbo primary pencils, posters, and coloring books very soon. 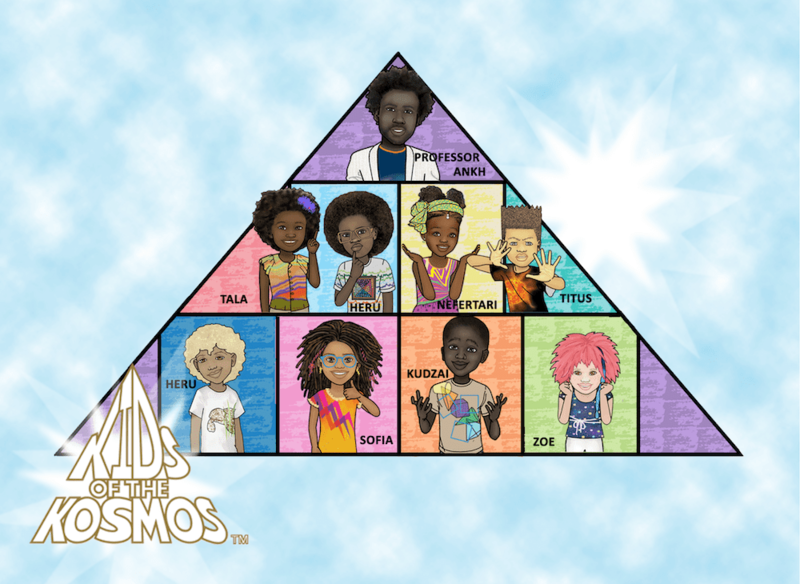 Kids of the Kosmos is a passion project by the Legree Family. With many educators, youth mentors, and family support counselors within their family circle, education and youth advancement has always been important to them. The project is led by Amethyst Legree, CEO of See Right Enterprises, and her mother Margaret Legree. Amethyst has 20 years of experience studying the arts, including production design at the Orange County High School of the Arts. She has a Bachelor of Fine Arts Degree from the American Musical and Dramatic Academy in Los Angeles. Margaret is the fantastic artist behind all of our artwork. She is a retired schoolteacher, having worked with children for 25 years. She wields a Bachelor of Science in Art Education with a emphasis in Fine Art from Indiana University. Margaret is the mother of three and hopes to inspire her two grandchildren with this venture, one of whom—Kayden—serves as our honorary Art Inspector! If you would like to contact us, reach out to us on our social media pages or click here to send an email.